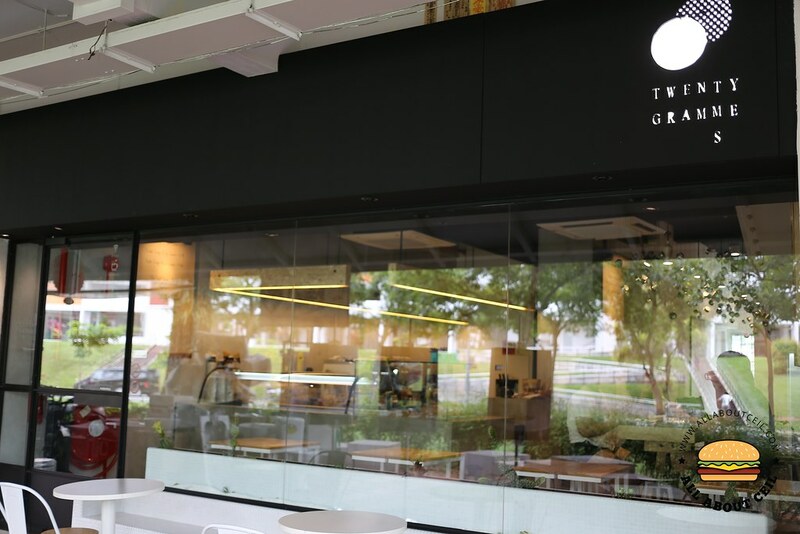 This cafe nestled in the heartland of Ang Mo Kio, near to Cheng San Food Centre and a stone's throw from Ang Mo Kio MRT station. They are currently at 2 locations, their main outlet at North Bridge Road and this outlet that opened in October 2015. 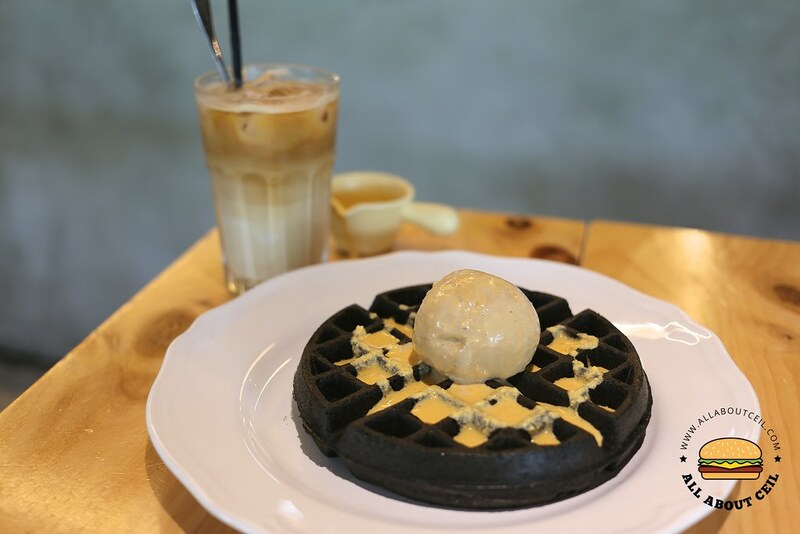 They are famous for their waffles and handmade ice-cream, and this particular outlet is also known for its exclusive Yuan Yang Waffle ($15) which consists half of Charcoal waffle and other half is Belgian classic waffle with soft-serve ice-cream and hazelnut sauce. 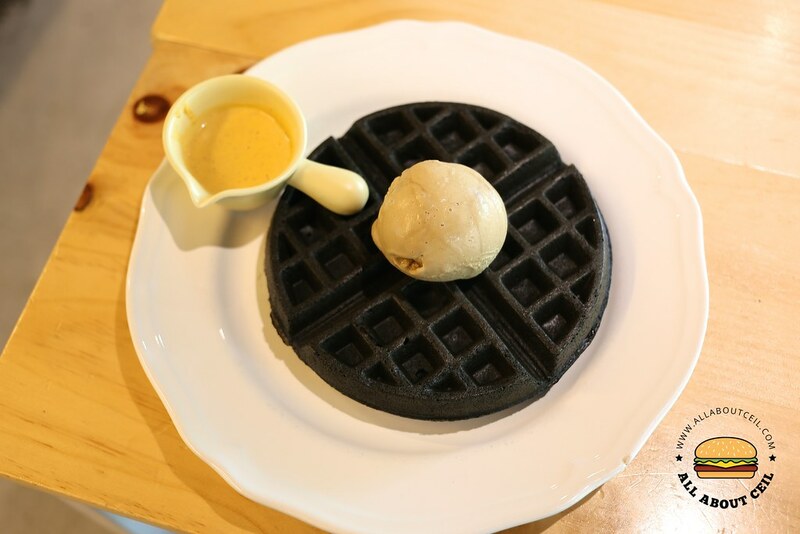 The Charcoal waffle itself is priced at $8.50 and it is at $12.00 if with a single scoop of ice-cream. 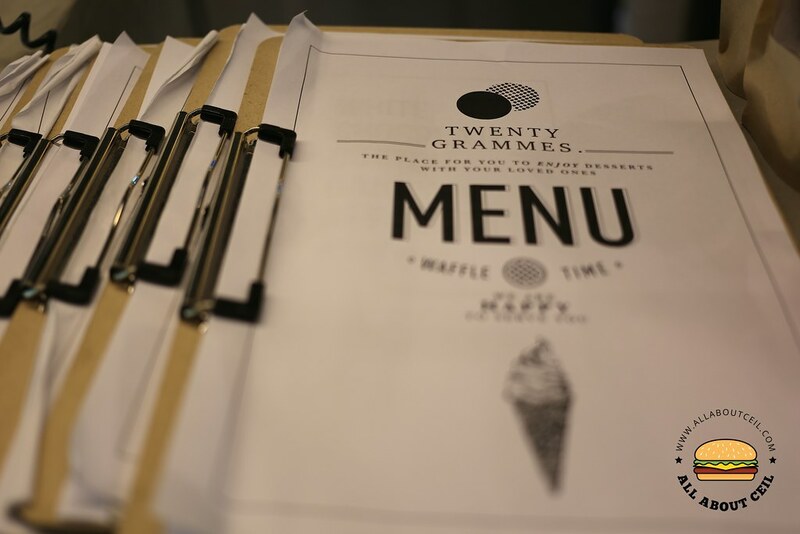 I opted to have it with the Seasalt Caramel ice-cream that is also served with their signature salted egg sauce. Subsequently, an additional scoop of ice-cream is at $3.00 each if I remember correctly. 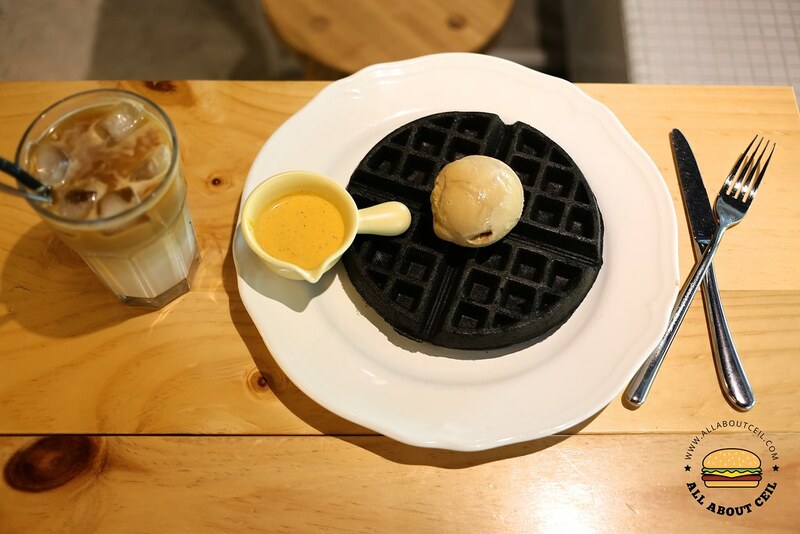 I also ordered an Iced Cafe Latte ($6.00) to go with it and it was served in a couple of minutes upon seated down and waited for another 5 minutes more for the waffle to be served. 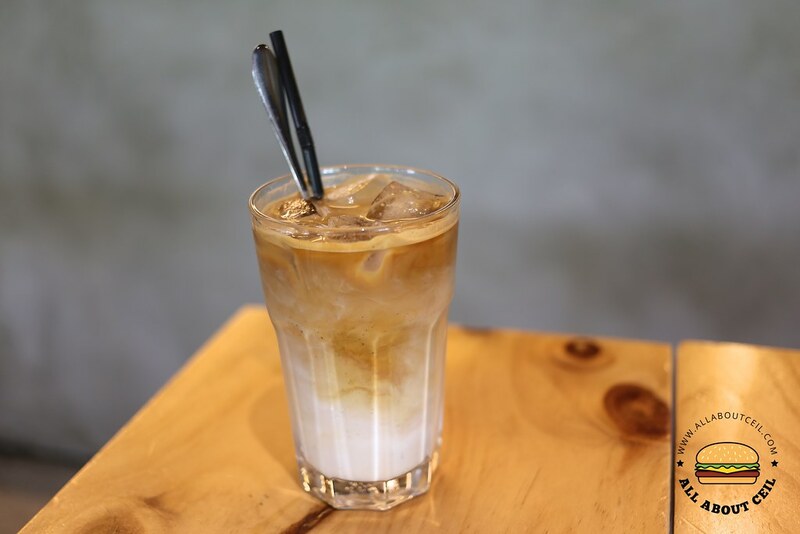 The Iced Cafe Latte had a mild coffee flavor with just enough of milk taste to balance up the bitterness in the coffee and to give it the desired sweetness. Even though the Charcoal waffle though tasted just normal but it was fluffy and slightly crispy on the outer layer. The salted caramel ice-cream was rather creamy with a slight hint of saltiness which balanced up the level of sweetness. The salted egg sauce did not have much of the salted egg flavor and it also did not enhance the overall flavor as much. Or, maybe, it just did not go well with the salted caramel flavor.